Saddle up for a ride over the Saddleback Pass - spend a day on the geotrail which is fascinating, educational, informative and has amongst the best views anywhere in SA. In today's featured pass, we explore the beautiful Bulembu Pass - rumoured to be the most beautiful pass in SA. Firstly we wish all Wild Dogs members a safe, healthy and adventure filled 2019 from the team at Mountain Passes South Africa. We are intensely proud of our relationship with your club and vow to continue to bring you weekly snippets about our passes and poorts for as long as we are able. If you've never ridden it, take the link and watch the triple video set and decide for yourself if it's a bucket list pass. 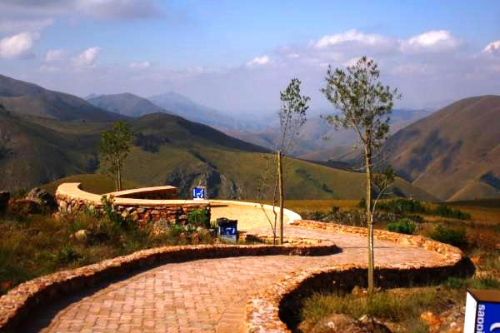 Saddleback, Bulembu and the Diepgezet passes can be ridden in a circular loop from Barberton to Badplaas - a journey that will be a delight and if you happen to experience bad weather, then prepare for a spill, as the roads here quickly turn to putty.